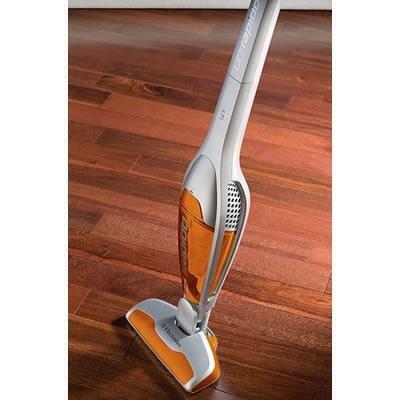 Electrolux Vacuums EL852A (Stick) from Aspen Appliance & Furniture Inc.
Electrolux Unirapido™ lightweight vacuum features powerful cyclonic technology, maintains suction power longer. Extra large 1 liter dust cup means you don't have to empty as often and dual washable filters to keep dust, dirt, and dander out of your home. 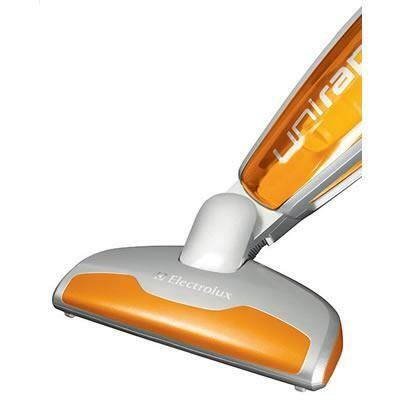 Additional Information -The Unirapido's motorized brushroll is not only safe for your delicate bare floors, it picks up dirt and debris that other lightweight vacuums leave behind. -Bagless Cyclonic Technology: The powerful suction of the Unirapido maintains suction power longer. 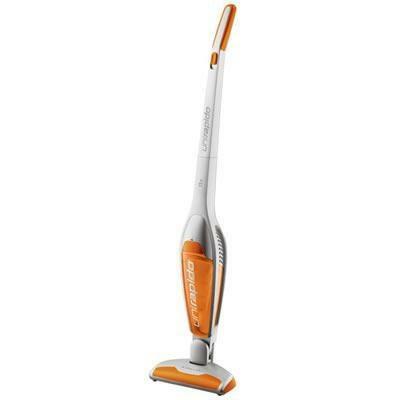 -The Unirapido's motorized brushroll is not only safe for your delicate bare floors, it picks up dirt and debris that other lightweight vacuums leave behind. -2 Stage Filtation with Dual washable filters. -Certifications: ETL, Energy Star. -Run Time: 20 mins. (Normal Speed), 12 mins. (High Speed). -Surface Cleaning Type: Bare floors, Area rugs.